Despite being a higher handicap player I have really noticed the difference playing this ball. The soft compression seems to help the ball fly straighter on less than perfect tee shots. From 120 yards in you really feel like you can control the ball. And I have even managed to produce a couple of shots which have spun back. 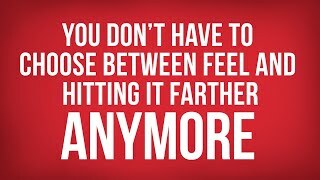 I love the feel off the putter face too. This is my first 'premium' ball and I will be stocking up and sticking with it for the foreseeable future. 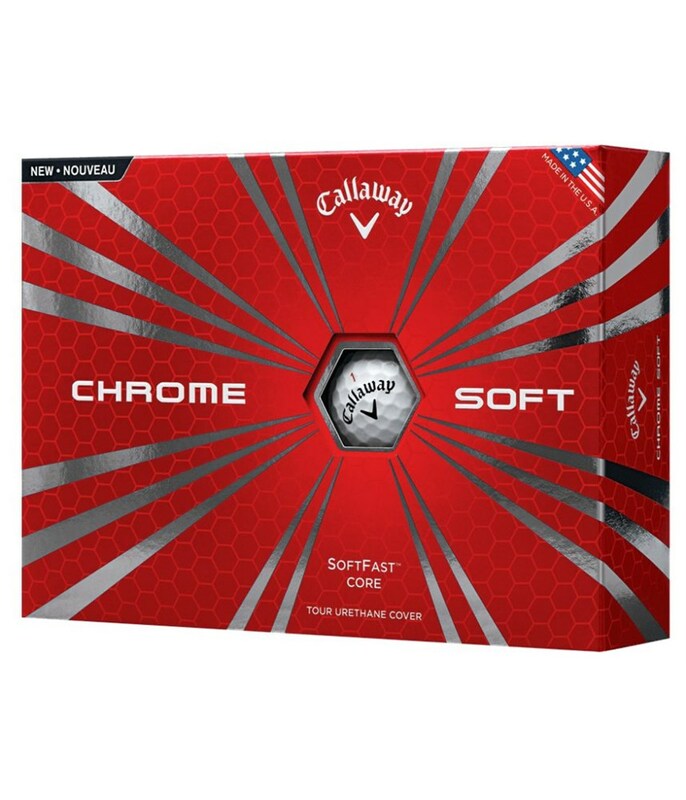 Chrome soft is the best golf ball Callaway has ever released incorporating short game spin and length of the tee. 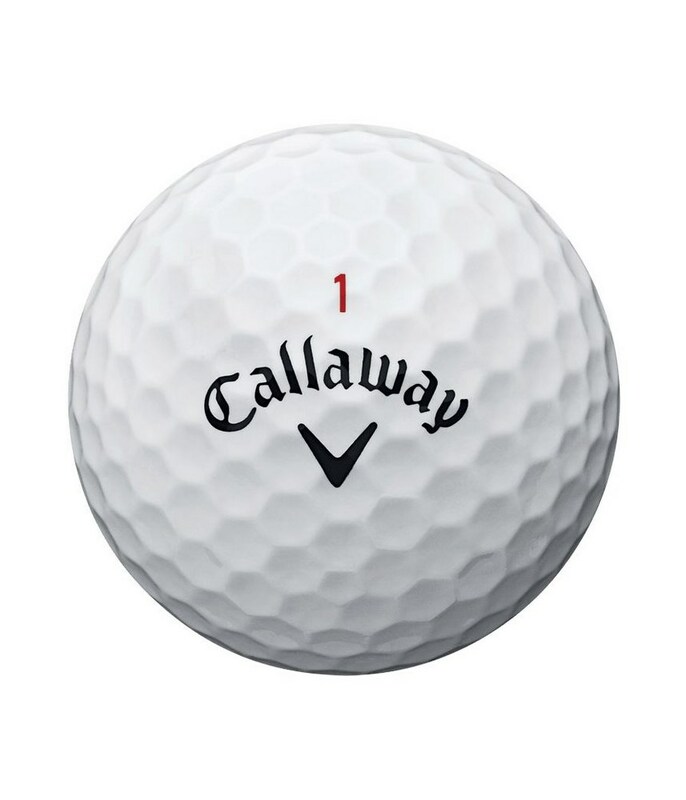 Best value golf ball of 2015. 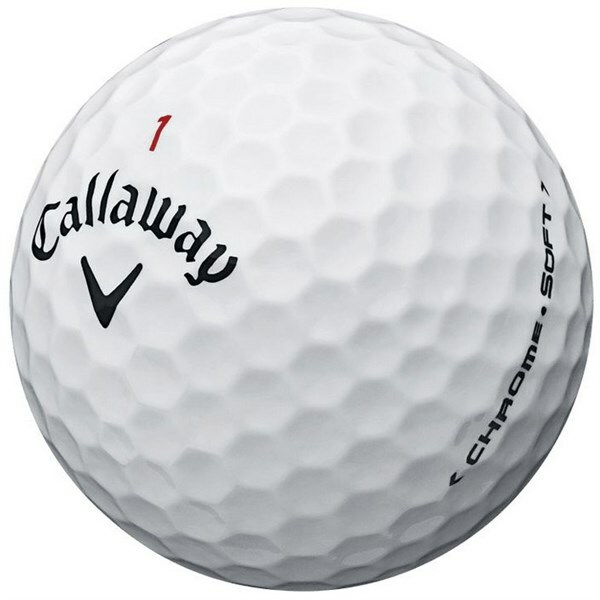 Very soft ball with a good distance and a fair price. 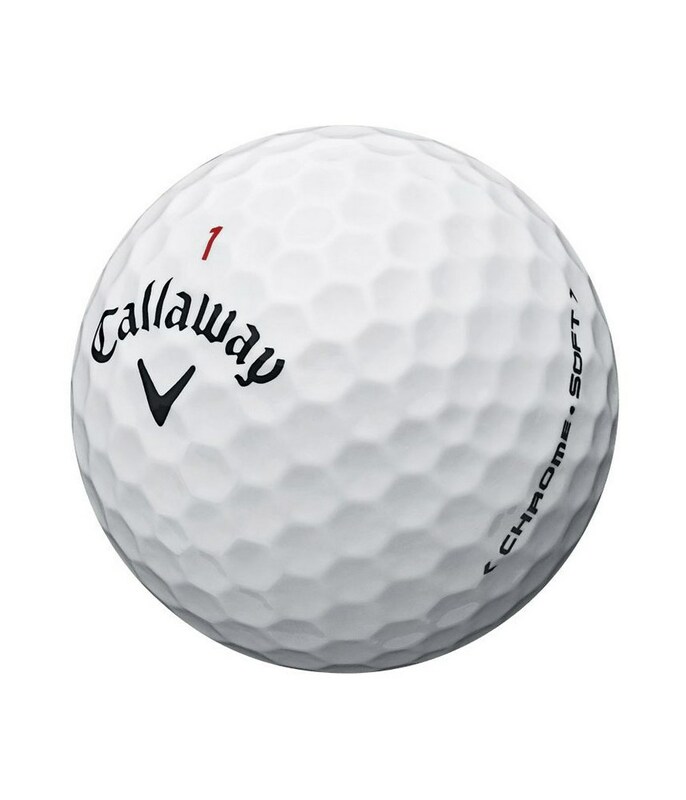 I was not a fan of Callaway ball that feel "clicky" in my opinion, the Chrome Soft is completely the opposite. Distance comparable to Titleist Nxt S but much softer. 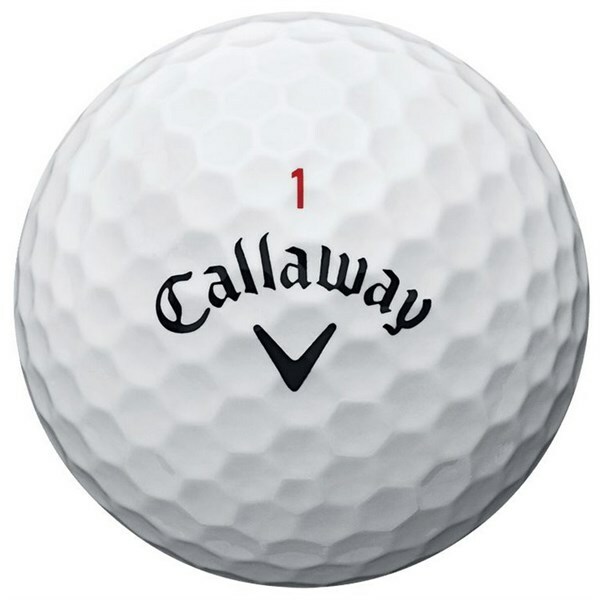 The Callaway Chrome Soft golf balls will you (the amateur) the chance to compress the golf ball like a Pro and get the kind of distance and spin control that is vitally important to them to earn a living. 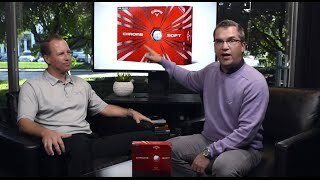 The SoftFast Core that is used on the Callaway Chrome Soft golf ball will give you lower spin off the tee for longer and straighter distance off the tee. And to give you optimised launch angles and a stable flight in winds Callaway have used there HEX Aerodynamics to reduce drag and increase launch. 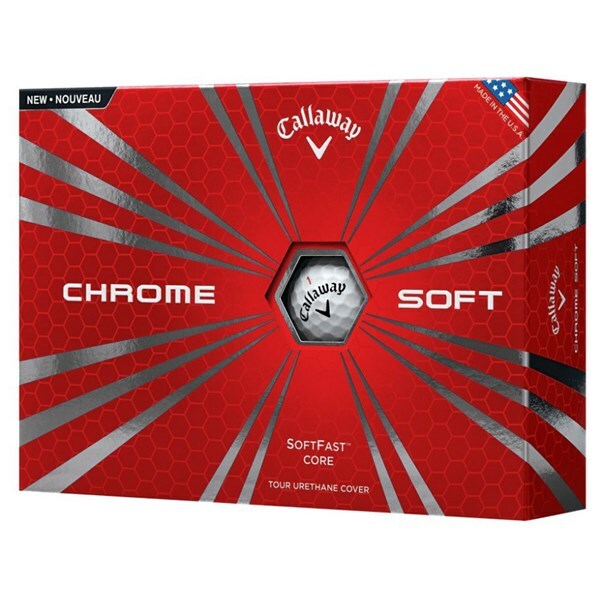 Callaway have developed the Chrome Soft golf ball to have a low 65 compression for an incredibly soft feel. By having a ball that is only 65 compression golfers with moderate club head speeds are able to compress the ball better and therefore get a ball that is more responsive when it hits the green. The combination of low compression and Tour Urethane cover gives you the most amazing feel off the face of the club. 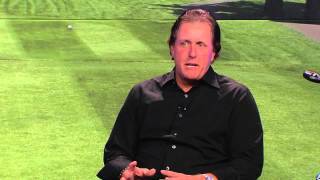 The control levels on aggressive shots into greens is amazing. Get ready to see that ball jumping around like it is on a bit of string.